A day without coffee is………….…a day with a headache. I need coffee. However, I also love the taste of coffee and firmly believe that a really good cup of coffee is one of life’s little pleasures. But the fun begins when you add coffee to desserts – it pairs beautifully with chocolate, and it shines when starring in coffee-centered desserts. Apparently I’m not the only one who likes coffee=flavored desserts. Coffee is the fifth most popular ice cream flavor for Haagen-Dazs. Graeter’s, a Cincinnati-based ice cream company, founded in 1870, offers two coffee ice cream flavors — Mocha Chocolate Chip and Coffee. 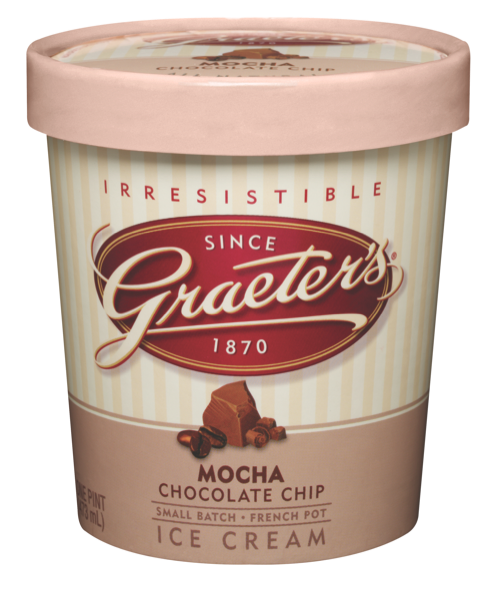 Mocha Chocolate Chip is so popular that it’s one of Graeter’s six core flavors offered in grocery stores outside of the Cincinnati area. (Luckily I can find pints of Graeter’s Mocha Chocolate Chip ice cream in my local supermarket in Manhattan.) While the company had contemplated offering just one coffee ice cream — Mocha Chocolate Chip — there were enough fans of Coffee to convince the company to keep offering both coffee ice cream flavors. 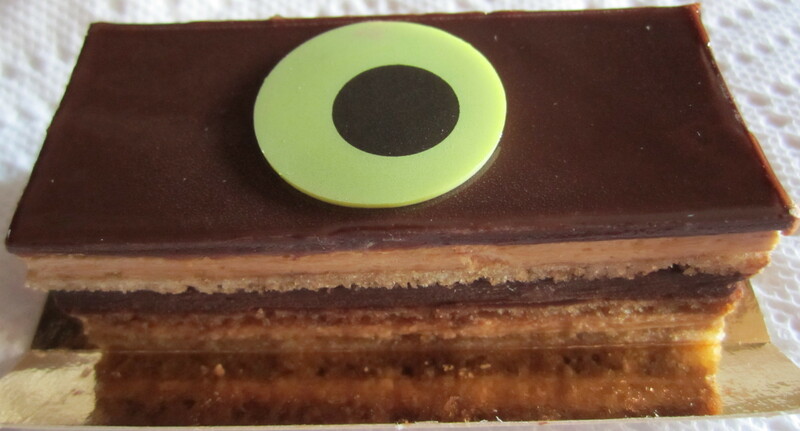 In desserts, coffee does not always hog the spotlight. When baking with chocolate, adding a small amount of instant espresso powder accentuates the chocolate without imparting a coffee flavor to the baked goods. 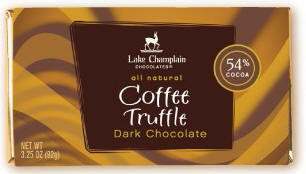 Whether it’s in cake, pie, chocolate bars, or ice cream, I sure like coffee in my desserts!